If you have missed Part 1, please read it here. As The Imperium slowly rolled their war machine into position above Black Rise and Placid, several low security alliances, once bitter enemies, began offering assistance to TISHUBOX. Shadow Cartel [SHDWC], Exodus. [LOLGF] and Rapid Withdrawal [RDRAW], all of which lived in the regions now under assault, wanted the attackers out of their space. These alliances together formed the beginning of what is now known as Low Sec Voltron (LSV). In the beginning, tensions among the member alliances was high as fighting amongst these groups had been a daily occurrence during the Placid Wars. Some fleet commanders were hesitant at first to call for the formation of Voltron. Under normal circumstances, these alliances would be fighting over each other’s moons and POCOs. However, united under a common enemy and under assault, they would need to work together to stand up to The Imperium onslaught. Relentless in the pursuit of their newly deployed Viceroyalty system, The Imperium continued to create timers throughout the Placid region. Five systems from D2-HOS, The Imperium’s staging system for the assault, Anchauttes was a prime battleground to shut down the low sec alliances. This proximity would allow The Imperium capital force to be mere minutes away from the battle. 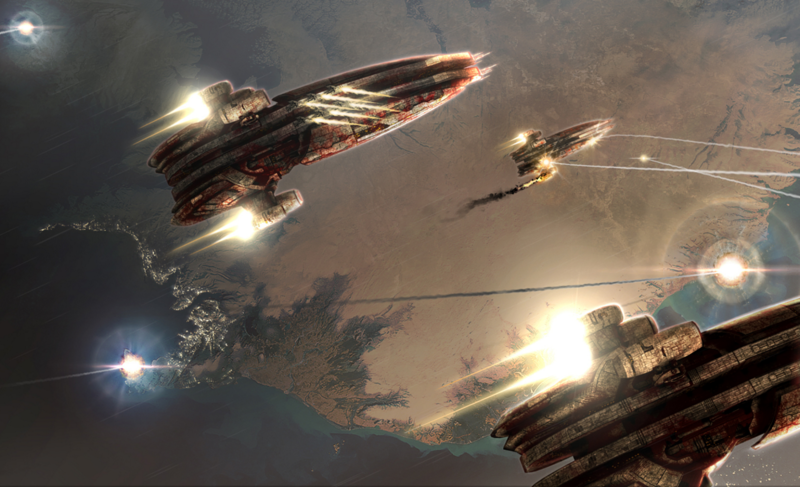 With a timer set for 06:00 EVE, TISHUBOX formed Machariel fleet supported by Guardians, Nestors and Bhaalgorns. Setting themselves up in the system early, they positioned on the edge of the POS shields while their shield triage began repairing the tower. Shortly after entering, the carriers entered their triage cycle, hostiles flooded into system and local chat exploded. A quick D-scan of The Imperium fleet showed that the allied forces were outnumbered by more than 2 to 1. The Imperium fleet was comprised of HAM Tengus supported by a handful of Huginns, Lachesis and Basilisks. This main force was also supported by another EWAR-centric doctrine consisting of Crucifers and an unexpected wing of ECM-burst Claws. The Imperium Crucifier wing landed on grid first and was quickly chased off by a handful of brave Exodus. pilots. Keeping this EWAR wing off the field would allow the TISHUBOX battleship fleet to inflict maximum damage to The Imperium Tengus. As the main Imperium fleet hit grid, TISHUBOX FC Punchbug2142 began calling primaries. The combined damage of 50 artillery fit Machariels began volleying through the Tengus. However, even with their firewall, the swarms of heavy assault missiles began ripping through the Guardians. With combined reps unable to withstand the incoming volleys, “our Guardians are dropping” rang out over the TISHUBOX comms. Understanding the importance of this fight, Punchbug replied back to hang on as best we could. With friendly support from Shadow Cartel and Rapid Withdrawal. en route, the fleet only needed to withstand the onslaught unsupported for a few minutes more. As the fourth Guardian entered hull and was quickly dispatched, RDRAW’s fleet of Griffins landed on grid and began jamming out as many Tengus as possible helping the friendly logistics wing of TISHUBOX to stabilize. This window also enabled the Machariel fleet to dispatch a handful more Tengus and allowed their firewalling battleship to move into a superior position to intercept the incoming missile salvos. Moments before this, Shadow Cartel also landed on grid and, combined with Exodus., once again ran the EWAR wing of The Imperium off the field. This incredible support enabled the allies to swing the flow of the battle into their favor. As the battle raged on and more Imperium Forces were dispatched from the battle, LSV intel channels exploded with reports of Tthe Imperium’s supercapital fleet approaching. Supported by a capital fleet with enough carriers to match each remaining Machariel. The Imperium were about to drop the hammer. During this madness, both fleets were affected by a bug stating that the ships they were attempting to target were within the confines of the POS shields. To counteract this, TISHUBOX forces slowly maneuvered themselves further and further from safety. Poised some 40km from the edge of the shields, a call rang out on comms “cyno up on grid”. Within seconds, 27 Imperium supercapitals supported by 46 carriers landed on grid and launched their swarm of drones. Outgunned, the call to retreat to the shields was made. During the retreat, TISHUBOX lost their remaining three Bhaalgorns, along with their firewalling Machariel and another Guardian. All told, the Low Sec Voltron forces lost a total of 12.84B while inflicting 14.46B in damages to The Imperium fleet. While the field was lost, powerful alliances with a distaste for The Imperium began taking note of the erupting conflict. With the objective secured, The Imperium returned home victorious. With their supercapital fleet now in play, the war machine lurched forward and the low sec alliances were forced into a defensive posture. The battles over the valuable moons waged on over the course of December. Low Sec Voltron’s numbers were bolstered as strong alliances such as Project Mayhem. [16-13] joined the war. Over the course of the month, many towers were defended while others were lost. Some popular engagements were those that occurred in Navula, Hakonen and Renarelle. Whenever possible, The Imperium would use their ability to project power by dropping their supercapital fleet on an engaged Low Sec Voltron fleet. While it did not typically secure many additional kills, it guaranteed them a win and one less contested timer. As time dragged on, this tactic began to be widely used and took a toll on the lowsec coalition’s morale. Combined with the holidays, fleet participation began to falter and The Imperium’s grasp on Placid and Black Rise was quickly tightening. 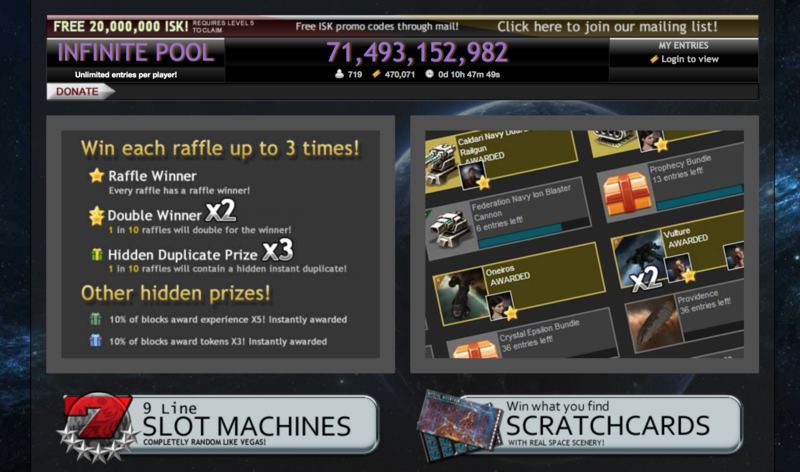 In early January 2016, a dispute broke out between SpaceMonkey’s Alliance [SMA] and I Want Isk [IWI], an online Eve gambling website. SMA began making claims that the IWI bankers were using the obscene profits generated through their website to fund a real money transaction scheme. To make matters worse, an SMA member and IWI banker was accused of siphoning ISK from an SMA corporation. Refusing to believe this statement, the CEO of I Want Isk demanded that Spacemonkey’s Alliance return the now trapped assets. EX Winet, former CEO of SMA, was not phased by these demands and challenged the IWI CEO stating he “personally enjoys hearing ‘we’re coming to kill you’”. With the stage set, IWI hired TISHU, a major part of Low Sec Voltron, to attack and harass SpaceMonkey’s Alliance. Offering 100M ISK per corpse, TISHU moved out of the Placid and Black Rise regions to carry out the contract with excellence. This departure left LSV’s numbers low and the following weeks led to a near collapse of the fledgling coalition. Without enough members to put up a sufficient resistance to onslaught of The Imperium, moons were quickly taken one by one and defeat loomed ever closer. As they marched down upon LSV, an unexpected set of allies began providing assistance. These allies, coupled with similar conflicts in Cloud Ring, kept the war raging. In the next part of the series we will discuss to continued war and leadup to the battle of M-O. 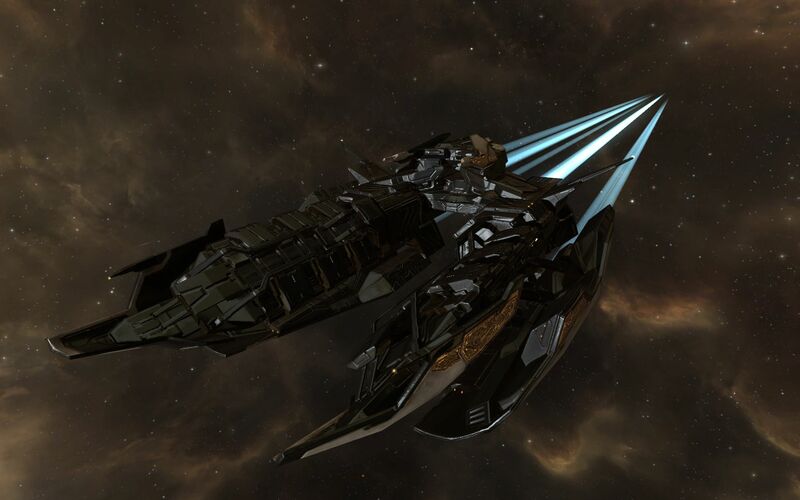 Alphabet, in game name Bjeloglavi Sup, joined Eve Online in early 2014. Over the last two years he has had the opportunity to participate in everything from high-sec trading to null sec sovereignty. The majority of his last 18 months was spent with Hashashin Cartel in Factional Warfare and the Great Wildlands. After the collapse of the alliance however, Alphabet followed a few close friends to Snuffed Out where he currently resides.